Pieter Stevens (1567-1624) ,pintor flamenco. 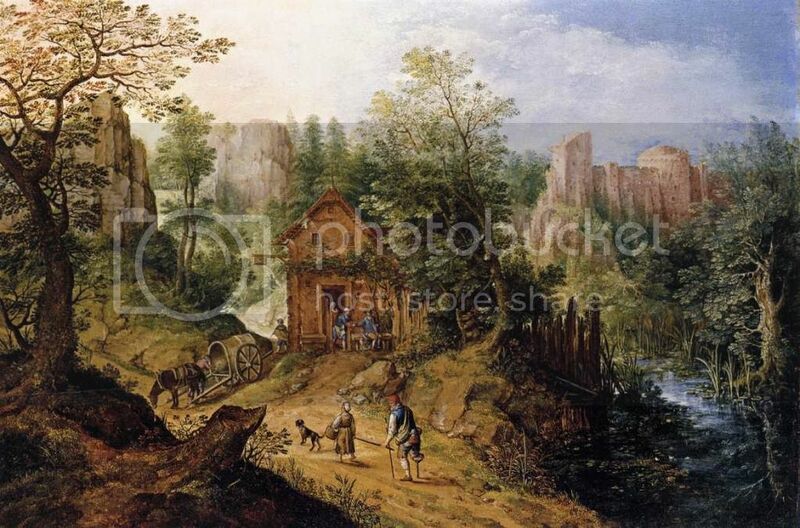 Mountain Valley with Inn and Castle.1593. 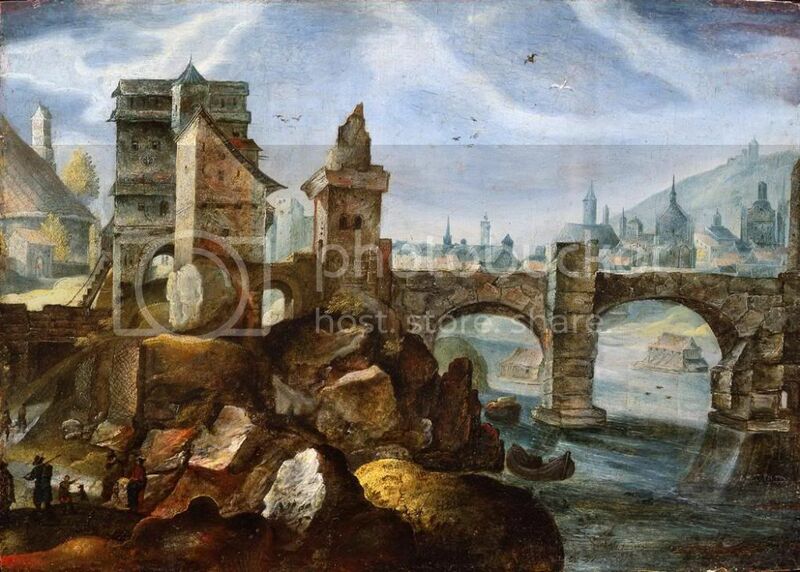 A Capriccio View of a City (possibly Prague).1606.